How to buy 3dmodel ? In the Cart page, click the “Pay now” button, and proceed to payment on PayPal.com. After Paypal payment is successful, scroll down below, click on “Return to Merchant“. 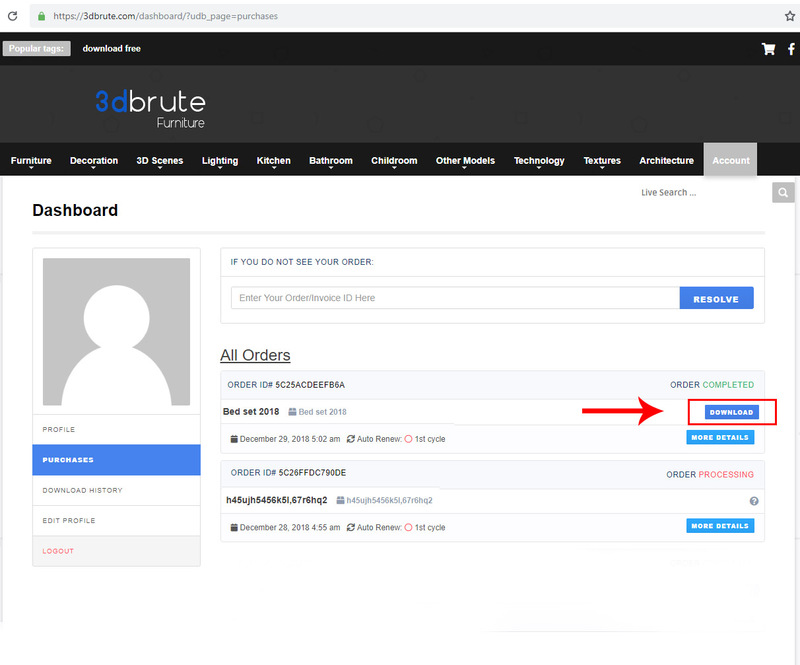 It will redirect to “ https://3dbrute.com/dashboard/?udb_page=purchases“. Your order will be completed. Now you click on the download button.